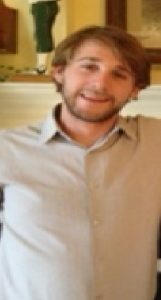 Shane Patrick Golden of Houston, Texas passed away Thursday, April 11, 2019 at the age of 28. Shane was born on September 1, 1990 and placed immediately to his adopting parents Diana Sutton (Houston, TX) and Tim Golden (St. Paul, MN) in Oklahoma City, OK. Shane grew up being raised in loving homes both in Texas and Wisconsin. Shane graduated from Homestead High School, Mequon, WI in 2008 with honors. He attended the University of WI La Crosse majoring in Philosophy. Shane’s passion in life was reading, writing and understanding the different philosophies of the world. Shane has made many friends along his journey through his short life & travels. He loved snow skiing and was by far the best skier in our family always pushing us to our limits on the mountains. He sailed both recreationally and competitively since age eight on; Optimist, C 420’s, J 35 & J109’s. He has touched many lives with his most caring heart. Shane is survived by his adoptive parents Diana Sutton (Tom), Tim Golden (Joan), brothers Reeves and Jakob Sutton. Grandmother Jane Golden, Uncles: Jim Golden (Nancy), John Golden (Denise), & Dan Smith. Aunts: Kathy Thesing (Greg) & Debbie Clark (Bill) & numerous cousins. Shane is preceded in death by Grandparents Gene & Betty Smith and Grandfather James J Golden. The Family will receive friends on Monday, April 15, 2019 from 6-8:00pm at Crowder Funeral Home, 1645 East Main, League City, Texas 77573. A Funeral Mass will follow on Tuesday at 10:30am at St. Mary Catholic Church, 1612 East Walker, League City, Texas 77573 with Father Howard Drabek presiding. Interment will be held at South park Cemetery in Pearland, Texas. Diana – I am so sorry for your loss. My thoughts and prayers are with you and your family. We are so very sorry to hear about the passing of Shane!😥You all are in our many thoughts & prayers!🙏🏻🛐 May the Lord Jesus & his angels surround & comfort u all with unending love & peace! Shane is looking down from Heaven now & someday you all will be reunited! Tim – So sorry to hear the news. My heart goes out to you and your family. Diana My dear sweet friend, so sorry of the loss of our most handsome Shane Golden. He will forever be in our hearts and never forgotten. My heart aches for you. Thoughts and prayers with you today and always. We love you all. Thank you for your support, it is so deeply appreciated. I will never forget watching Shane explain the difference between “genotypes” and “fenotypes” to a group much older than himself. Beau Geste young scholar! Shane. You always inspired me. Good or bad. Smartest person I’ve ever engaged in conversation with. I miss our talks. I’m glad you’re in peace. Love you Golden Boy.